If you are walking up Fort Street next to Marquette Park on Mackinac Island, you may notice a small, unassuming house on the left. This is the McGulpin House. While small in stature, it packs a lot of history in its walls. Frank Kriesche came to America from Bohemia in the late 1800s where he had learned his trade as a glass engraver. He moved to Mackinac Island in the early 1890s and during the summers applied his talents at the glassware shop that he owned on Main Street. Kriesche would import some of the glass from Germany for his more expensive glassware but the pieces that he is most famous for are his ruby souvenir glasses. Highlighting the array of individuals that make Mackinac Island a unique destination, the theme is not strictly portraits, but broadened to include any work of art combining “Mackinac” and “people.” The independently juried exhibition will feature over two-dozen pieces of selected art in a variety of mediums from May through October 2013. A total of six awards and $5,000 in cash prizes, including a Best of Show Award, will be selected by the juror. 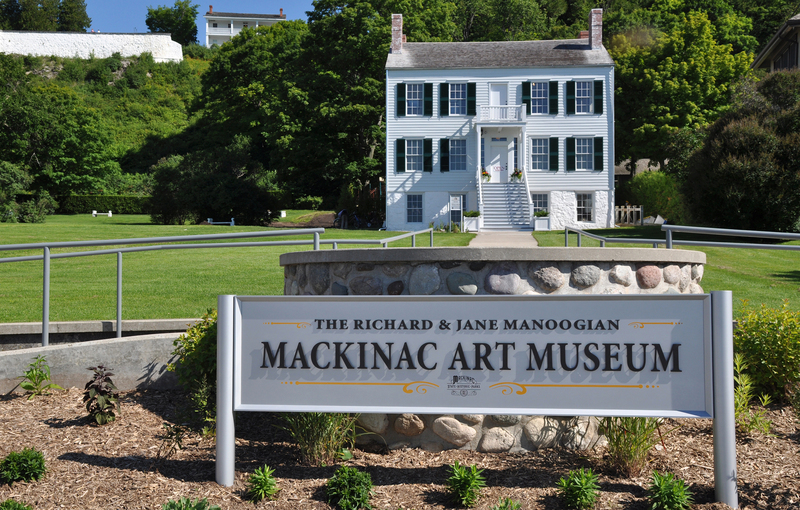 The Best of Show winner will receive a $2,500 cash prize, the Richard and Jane Manoogian Mackinac Art Museum Gold Medal and their name will be added to the list of annual Gold Medal winners displayed at the museum. In addition, there will be second and third place cash prizes of $1,000 and $750 respectively and three (3) honorable mention awards with cash prizes of $250 each. All prizes are donated by the Mackinac Arts Council and Mackinac Associates. Winners will be announced at the June 26, 2013 awards ceremony. Both amateur and professional artists are encouraged to enter. Guidelines, entry forms, and more information for the exhibition can be downloaded at here.